How to take time off that actually benefits your health. Whether you get away a few times a year or make the effort to head out of town for the weekend on a consistent basis, taking that much-needed time off is important. The subjective benefits of vacation are obvious. Who doesn't look forward to disconnecting from email, heading out of town and spending time doing what you want, when you want? But the objective benefits are just as powerful: Not only are vacations shown to increase your productivity when you return to work, but they can even improve your physical health, too. Time away can improve your physical health, increase your productivity when you return to work and reduce burnout. However, not all vacations are created equal. 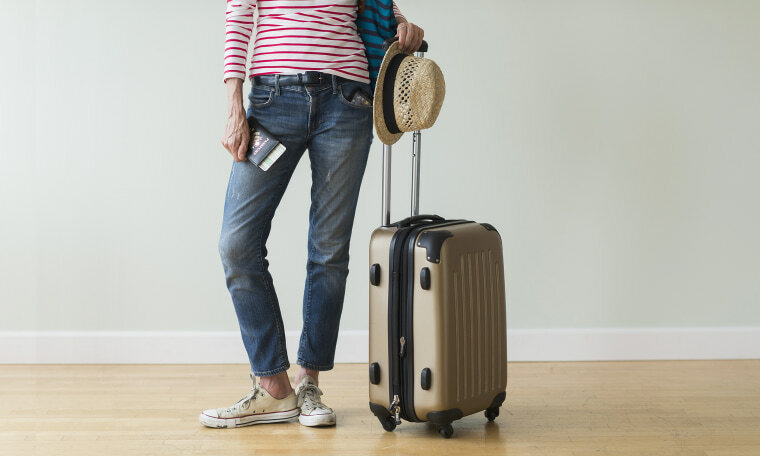 You need to be strategic to ensure that your getaway provides you with benefits that last long after you've unpacked your suitcase. And with the expense and prep time that taking a trip entails, we definitely want to get the most bang for our buck when putting up that out of office reply. So what makes a good vacation worthwhile? And are you vacationing the right way? What Makes an “Ideal” Vacation? A change of scenery. Staycations aren’t inherently bad, but giving yourself a change of scenery is, psychologically, more beneficial. Not only will you get the pleasure of seeing new things and having new experiences, but your vacation will feel longer — no, really, it will. Novel experiences are more memorable, which means your subjective perception of time will stretch out as you go to new places and try new things. Plus, getting away from the places you’re exposed to on a daily basis (such as your home, the office and the coffee shop) is going to help reduce your chances of burnout. So instead of staying home and binging movies on Netflix, head to Sri Lanka, drive to the Rocky Mountains or choose a random town in your state to explore for a few days. A good place to sleep. It’s tempting to stay up late while you’re on vacation to squeeze more into your hours of relaxation. However, you still need to get a good night’s sleep; otherwise, you won’t be able to enjoy your activities as much, and you won’t return feeling relaxed. If you’re going to a big city like Boston, look for hotels in the the area that offer high-quality beds and peaceful environments. If you’re staying with a friend or relative, make sure they’re able to offer you a good night’s sleep; if not, consider politely finding a nice hotel nearby. An itinerary — but a flexible one. Planning ahead is a good thing; it gives you a structure you can follow so you can maximize the value of your trip and see everything you want to see (which is especially important in a major destination city like New York or Las Vegas). However, be careful not to pack your schedule too full, which can leave you stressed when random events interfere with your plans, or force you to cut an enjoyable experience short in an effort to get to the next one. Limited communication. Turn off your phone and stop checking your email. No matter how essential they are to your organization, there’s almost nothing that can’t wait a few days. Our modern life is wonderfully connected, but it also tempts us with “just a few minutes” of catching up here and there, which usually turns into a few hours of work when we’re supposed to be away from work altogether. The point of a vacation is to have a continuous, uninterrupted period of time where we can decompress from work; even if you’re only managing small tasks and communication, returning to work compromises that break. So log off: The work will be there for you when you get back. Activities you truly enjoy. Enriching vacations, where you’re able to build new skills, learn new things and meet new people, are beneficial to your business and professional life. But make sure you’re also making time for activities you truly enjoy. Following someone else’s advice by seeing a theater production or staying out late in bars may give you a thrilling experience, but if you simply prefer staying in with a bottle of wine and a good book, include time in your schedule for that as well. Your enjoyment matters more than checking off some arbitrary list of must-do activities. We've all been there: the entire extended family crammed into a beach house, the kids fighting over the sand toys and the adults bickering about politics. Why did you waste your precious vacation days on this again? But it’s worth noting that spending quality time with your loved ones stimulates the release of oxytocin, a mediator of stress relief, social interaction and overall wellbeing. Though vacationing with your family can sometimes add a bit of stress to what’s supposed to be a relaxing experience, you need the social support and close familial interactions if you want to have a happier experience. Some people prefer traveling alone — and that’s fine — but there are also benefits to having close people along for the ride. Something to keep in mind when your mother-in-law starts to get on your last nerve. This year, take at least one vacation where you try to stick with the above criteria as much as possible. When you come back, you may experience some additional stress as you catch up on any work you missed, but this is temporary; overall, you’ll feel better and be more productive.